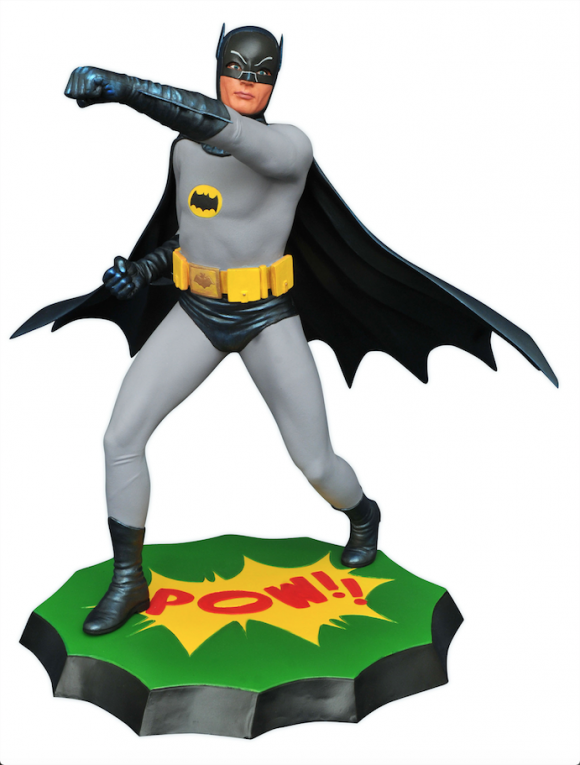 Back at Toy Fair (click here), we revealed that the next full-size statue in Diamond Select Toys’ Batman ’66 line would be Burt Ward’s Robin. 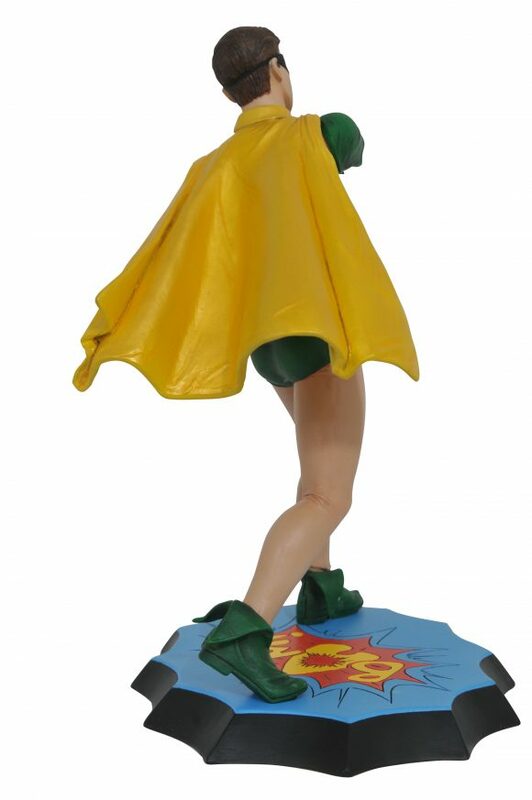 It makes sense since we’ve gotten Batman, Batgirl and Catwoman already, while the Joker will be hitting shelves soon. 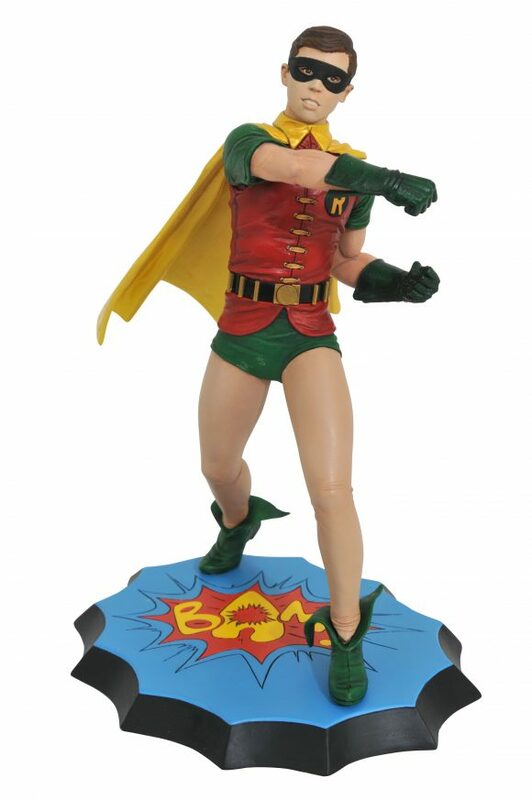 Robin, which will make his debut at C2E2 this weekend, is designed specifically to accompany Batman, with each punching out an imaginary villain from the opposite side. BUT STAY TUNED, CITIZENS! Keep an eye out for a behind-the-scenes look at the statue with Bradfield and St. Jean — coming soon! 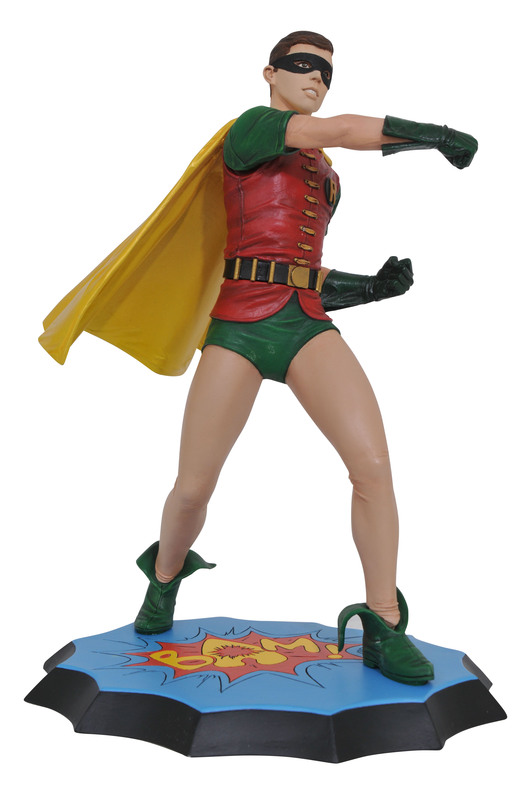 For tons more on Diamond’s Batman ’66 line, click here.